It is now five years since the rap king, Dagrin died, yet his fame and name never at any time disappeared in Nigeria’s rap game. Reminiscing on his death reminded me of his bravery and guts in the use and commands of language which he best displayed in his last song ‘If I die”. In the chorus of this song, Grin as popularly called by some of his followers clearly stated his abhorrence for pretentious tears and developed his verse to tell of himself as a man who wanted his best and not self-pity. When the song was released shortly after his death , it triggered tremendous controversy, went viral and was even perceived as diabolical due to its’ contextual coincidence with the talent’s death but one can’t ignore that this same song gave the biggest succor to many of his fans who couldn’t bear his demise at the said time. Putting the records straight, it will be unfair to misconstrue Dagrin’s creativity for diabolism as he is not the first artiste who did songs about the foreshadowing of one’s death. Foreshadowing, is just a literary technique which involves the use of indicative lines to set the stage for an event to unfold-Dagrin’s acclaimed mentor, 2pac Shakur had done something of this nature with songs like If I die tonight; I wonder if Heaven goota a Ghetto etc. Dagrin mastered his musical works and he will forever remain unforgotten for it; his songs are trade-marked to sell both his brand and contents- From the release of his first album, “Still on the Matter” to his second album, “Chief Executive Omo-Ita, C.E.O”, he kept his head high and was unique among his competitors. He had massive hits during his lifetime and he took this glory on even at his exit from Nigeria’s music scene with the track: “If I die”. He rocked parties with tracks like, “ Mo lenu bi Pon, Pon”; ‘Efimile'; Kondo (Magic Stick), Swag among others all sold out. Do you remember that laughter signature, “A-haaaaaaa!” which always gives him the majestic street entrance into any song he finds himself? This among other techniques won him an ‘ocean-size’ kind of followers in his short reign in stardom. Some will love him in a way that you won’t help but ask why? I once criticized a staunch Christ believer friend of mine who is also a fan of Dagrin, she was one of those who effortlessly sing in and out every track done by or any which featured the talented artiste. I asked her, “are you not aware this is a worldly song?” she replied, “Forget it! I am a born again Christian but I can’t just resist singing along the songs of Dagrin. He is deep, If singing him is wrong, please accept it as my bad habit.” She said smiling. This is just one out the thousands overwhelming compliments awaken on the lips of the fan of this gifted artiste. 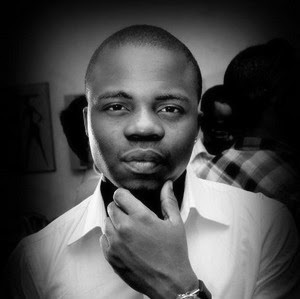 More tributes are coming in, Dagrin lives on.